It’s been a while since I’ve done a Friday Faves. Christy and I are going to VKL tomorrow so I had to pull together some of my favorite designs for shopping inspiration. I’ve selected mostly shawls because I have 8? sweaters-worth of yarn. That didn’t stop me from adding one design to the list that I’m *dying* to start RIGHT. NOW. Coalesce by Alicia Plummer – Two colors of bulky weight yarn, combining them without any stranded knitting (it’s slip stitches). You guys know how I feel about stranded knitting. Cabaletta by Melissa Schaschwary – The subtle texture and sweet ruffle is romantic without being too twee. Sunlit by Melissa Thomson – Two weights of the same color – one silk and cashmere. I LOVE the look and will be looking for a special combo for this one. Riverbank also by Melissa Thomson – Great combo of texture that can be worn as either a cowl or a capelet. Lately I’m all about the capelets. 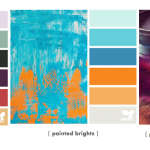 Interlochen by Carol Sunday – Total love for this design! At 1,720 yards it uses more than many garments though. Would I ever finish it? 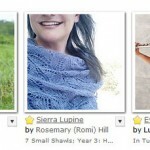 Yellow Brick Road by Mona Schmidt – Kristy is a huge fan of the stitch pattern and look at all the ways you can wear this simple cowl. In worsted weight it’ll knit up quickly too. Brandywine Falls by Robin Ulrich – Great stitch pattern, aran weight and it can double as a shawl or a capelet. Plus it’s a great excuse to buy a new shawl pin. 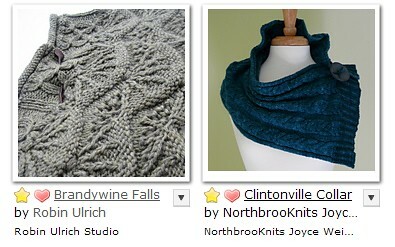 Clintonville Collar by NorthbrooKnits – The versatility of the button plus the drawstring ruching makes for a custom fit without the fiddliness of knitting it just so. 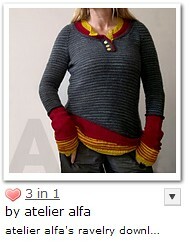 3 in 1 by atelier alfa – An excuse for buying 5 colors of yarn! I love being able to add pops of color at the bottom of the pulli. I’ll be looking for a sockweight merino/nylon or merino/cashmere/nylon. This’ll be our second year at VKL and I love the timing – smack dab in between Rhinebeck and Maryland just when the doldrums of winter are at its peak. Are you going to VKL? If you see me be sure to say hi! I can’t wait to share what I got with you all on Sunday! 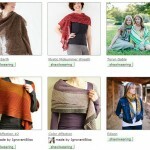 Friday Faves, shawls, sweaters. permalink. I have been eyeing Coalesce for a little while now. I vote you should knit 3 in 1, so that you will buy all the yarn. I’m with Andi. Buy all the yarn! Do the 3 in 1 so it seems somewhat reasonable to the knitterly brain. 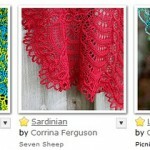 I just saw the Yellow Brick Road cowl on Kristy’s blog and was like, woah, I really like this! And now I see it for a second time! 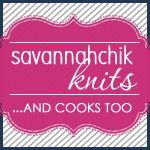 i wrote a post about it back in 2007 http://savannahchik.com/2007/01/tutorial-latvian-techniques.htm. hope this is what you’re looking for!